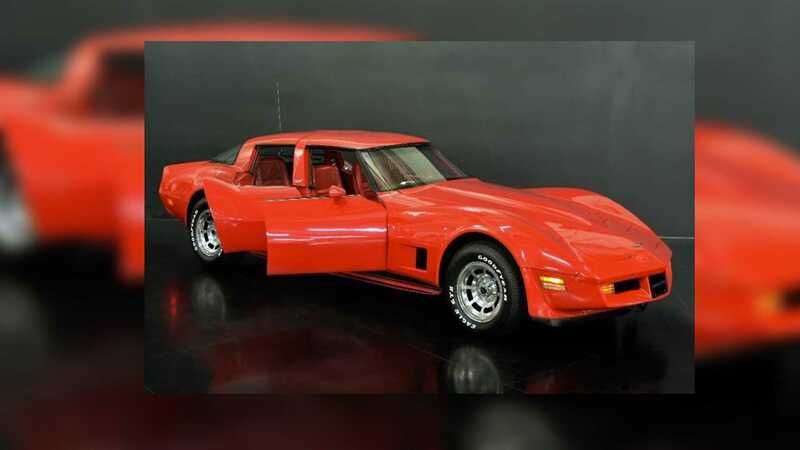 One of California’s car dealerships has recently put up for sale a unique four-door Chevrolet Corvette coupe issued in the 1980. The car is outrageously red and costs U.S. $217,000 to buy – almost twice as high as a brand-new Corvette ZR1. There isn’t much we know about the car. The seller says it is a genuine factory model, but a Google search tells us it might have been created by California Custom Coach, a tuning shop in Pasadena. The four-door coupe is fused together from a couple of two-door ones. Its engine bay reportedly holds a 5.7-liter V8 engine capable of around 200 hp (150 kW), coupled with a four-speed automatic transmission. The car has around 34,000 kilometers (21,000 miles) on its odometer.